My parents have been vegetarians their entire lives (well, mostly) :). My dad apparently had his ‘meat’ days when he used to eat seafood, hamburgers, and even chicken before he met my strictly vegetarian mother. But, I suppose after over 35 years, it becomes a distant memory and almost hard to believe. Well, as it would so happen, I managed to convince both of them to start eating fish and eggs to help them increase their protein consumption. And this was the SECOND fish dish they had – and they loved it. PS – I beg all of you who have tried ANY of my recipes to send me pictures and any feedback and/or comments!!! 🙂 Would love to feature you on my reviews section. Preheat your oven to 400 degrees F, and set an oven rack on the center rung. In a separate bowl, mix the mayonnaise, lemon juice, Tabasco, chili garlic sauce, sugar, soy sauce, sesame oil and onions. Line a baking sheet (or flat, oven-safe pan) with aluminum foil and spray the aluminum with cooking spray. Now, arrange halibut pieces on the prepared baking sheet (it’s ok if they touch each other!) and season with Kosher salt and pepper to taste. Now, lay the thin asparagus spears and cherry tomatoes over the fish in whichever arrangement you like. 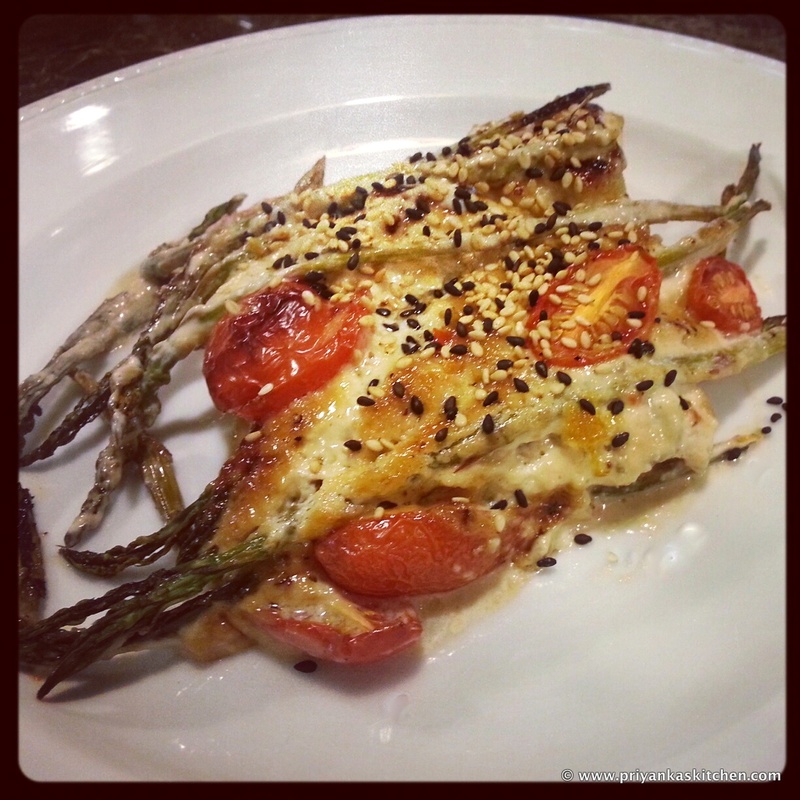 Top the asparagus and fish with the mayo mixture – use spatula if easier to spread. Bake in the preheated oven until almost opaque, 15 to 20 minutes; remove the baking sheet from the oven. Plate each filet, squeezing fresh lemon juice over each piece. Garnish with sesame seeds and green onions. One of my favorite cities to visit in Europe is Paris, and boy do the Parisians know how to cook their seafood just right. I am convinced that any dish with copious amounts of lemon and garlic end up being delicious, whether it’s seafood, chicken, or vegetables. I think my version of this dish incorporates heavier amounts of garlic and parsley, but trust me, it’s well worth it! These beautiful mussels came live, overnighted in a box from none other than the beautiful, luscious, seafood-laden state of Maine. 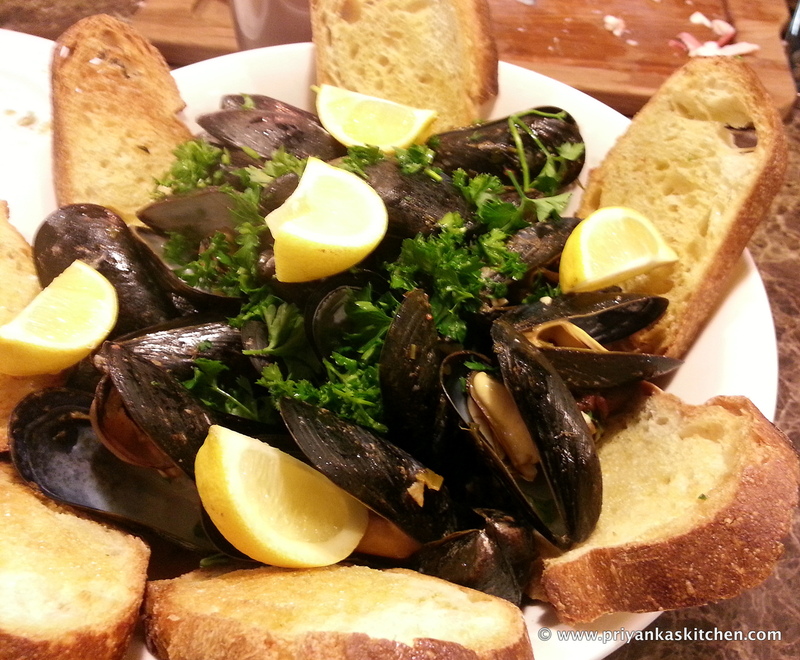 I have to say, these were some of the best mussels I have had in the US – I can’t compare them to the ones I’ve eaten in some of the top Parisian restaurants (simply because everything is tastier when you have the Eiffel Tower as your backdrop – not your screen saver, but the real thing!). However, this recipe is easy, delicious, and a one-pot meal that doesn’t have to be for a fancy event. It’s healthy too! 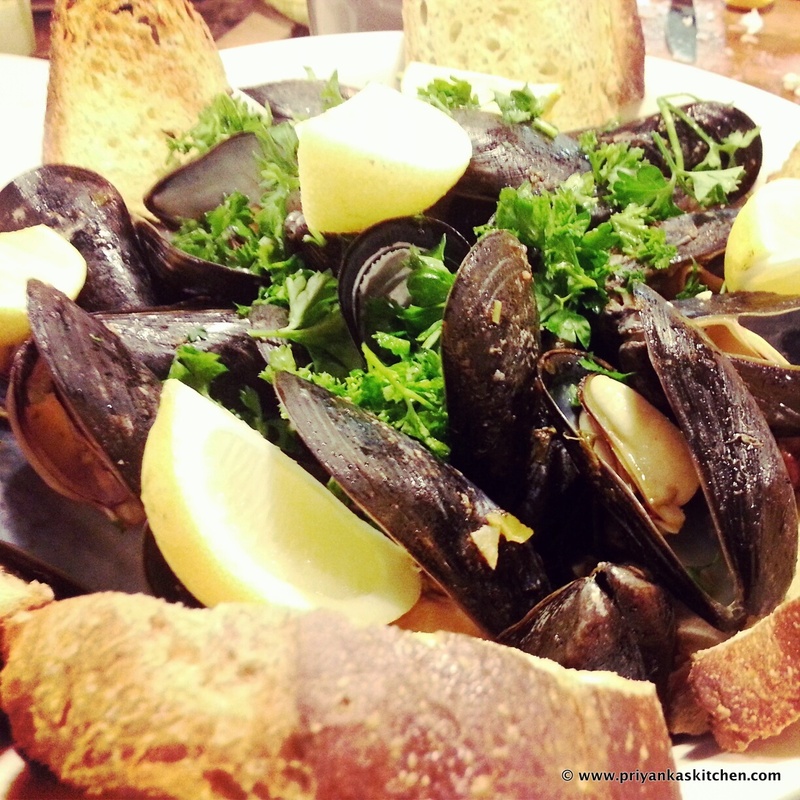 Clean your mussels thoroughly and place them in a large bowl with cold water, covering them with water completely. Let them soak for about 20-30 minutes to remove any dirt or sand. I like to soak them for 20 minutes, drain them, then refill the bowl with cold water and let stand once again. You will definitely enjoy this dish more sand-free! Heat your extra-virgin olive oil in a large stockpot over medium-low heat until shiny (but not smoking). Add garlic, and cook for one minute, stirring often so they do not brown or burn. 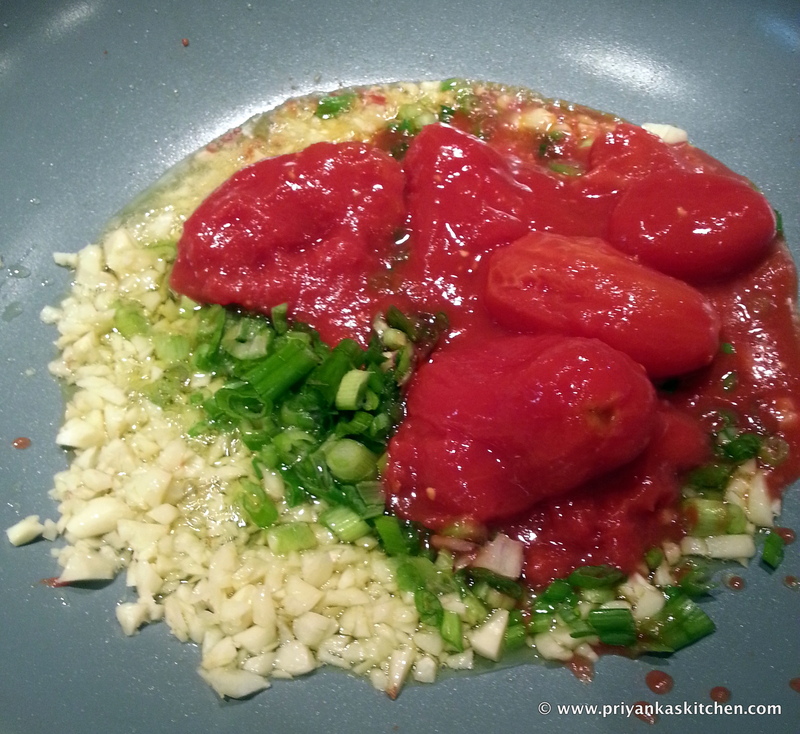 Add the chopped green onion and tomatoes, cooking until almost tender, about 5-7 minutes. Pour in the white wine, and stir in the chopped parsley and butter. Bring to a boil, and allow to boil until the liquid has reduced by half, about 15 minutes. Season with Kosher salt and pepper to taste.